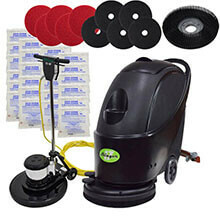 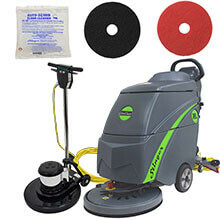 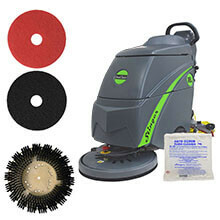 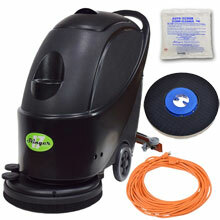 Stinger Electric Automatic Floor Scrubber - Small Area - 17"
Gym Mat Electric Floor Scrubber Kit - 17"
Stinger Electric Automatic Floor Scrubber - 18"
Gym Mat Electric Floor Scrubber Kit w/ Mat Brush - 18"
17" Stinger Electric Floor Scrubber & Floor Machine "Gold Package"
Stinger Electric Floor Scrubber & Floor Machine "Gold Package"
Walk Behind Electric Floor Scrubbers eliminate waste and reduces risk by controlling detergent levels and dispensing exactly the right amount of solution for daily and routine floor cleaning maintenance. 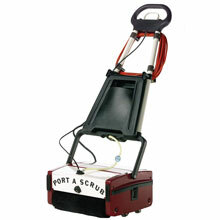 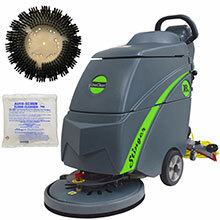 Using an electric automatic floor scrubber eliminates the worries of proper battery maintenance commonly used in larger automatic floor cleaning machines. 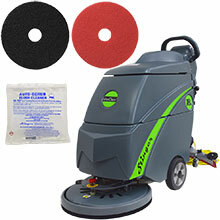 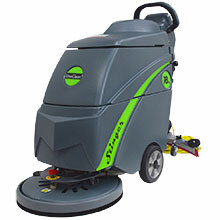 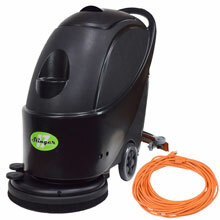 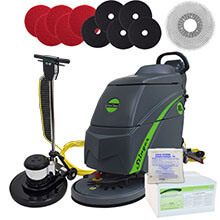 Small Area Electric Floor Scrubbersare commonly used for gym cleaning, store aisle cleaning machines, floor tile cleaning machines, auto dealer showroom floor scrubber and any where a compact electric floor cleaning machine is needed.